On a recent visit to Broad Street, the heart of New Britain’s “Little Poland,” not a word of English was heard. Customers lined up for kielbasa at Krakus Meat Market, and picking out blintzes and cukierki czekoladowe (chocolate candies) at Polmart, or crowded into Kasia’s Bakery for babka and puffy donuts called pączki—all spoke Polish. Children in traditional dress perform at the Little Poland Festival. New Britain, about 15 miles southeast of Hartford, was a Colonial-era settlement, but rose to prominence as a manufacturing center, dubbed the “Hardware City,” when companies like P&F Corbin Company and Stanley Works (now Stanley Black & Decker, still headquartered there) were founded in the mid nineteenth century. Poles began arriving in the late 1800s and joined other immigrants—Irish, German, and Italian—working in the booming factories. The community was soon buttressed by the neo-Gothic Sacred Heart Church, built in 1897, which looms large on the Broad Street hill and still holds services in Polish. Another wave of Poles arrived after World War II, then a third influx associated with Polish independence in 1989. Local leaders also commissioned the adjacent Walnut Hill Park in 1870, now on the National Register of Historic Places. 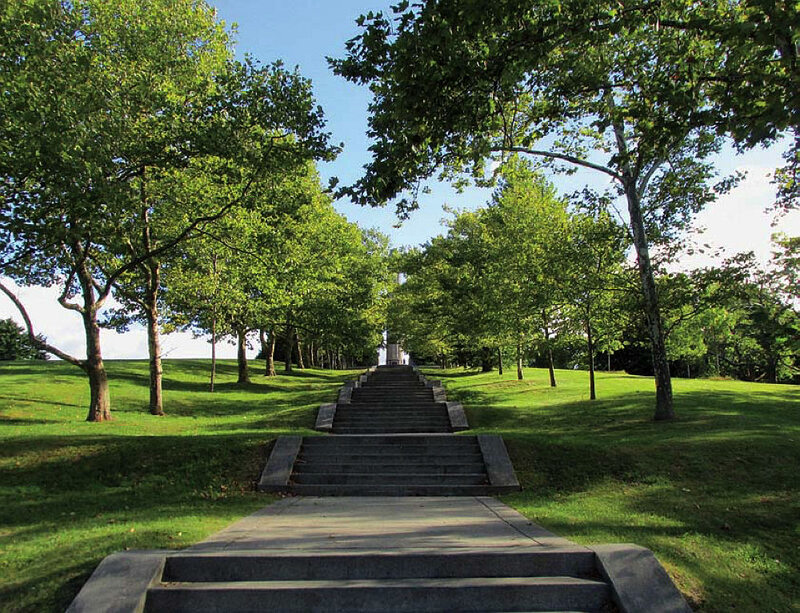 It was designed by the office of Hartford-born landscape architect Frederick Law Olmsted, A.M. 1864, LL.D. ’93, as a respite for residents—and is still a picturesque place for exercising, walks, public events, and simply relaxing. In 2009, the Friends of Walnut Hill Park Rose Garden organized to re-create and maintain that garden (originally added in 1929) by moving it to the courtyard by the World War I memorial and planting more than 800 bushes, representing 75 varieties, as a purposeful symbol of the city’s diverse population. The NBMAA was the nation’s first institution dedicated solely to American art, Kim says; its permanent holdings stand at more than 8,300 works, including pieces by the Connecticut-raised Sol LeWitt. It also owns prime examples of Colonial portraiture, the Hudson River School, and works by Winslow Homer, Mary Cassatt, Thomas Eakins, Childe Hassam, and Thomas Hart Benton. In 2015, an addition greatly expanded gallery and classroom space. The museum continues to serve as a vibrant community resource, offering lectures, concerts, and classes for all ages. “NEW/NOW: Francisca Benítez” (through April 29) highlights video and photographic works exploring the power and diversity of sign languages and deaf culture, including a collaborative project with children at the American School for the Deaf, in West Hartford, the birthplace of American Sign Language. The museum also holds upward of 200 original oil paintings created for inexpensive pulp-fiction publications such as The Shadow and Doc Savage, hugely popular from the Great Depression through World War II. The sensational graphics often depict archetypal characters—barely clad “damsels in distress,” “heroic” tough guys—engaged in adventures, mysteries, and science-fiction narratives that influenced a collective understanding of American values and success stories. This 1933 painting for The Shadow Magazine is among more than 200 pulp-art works held by the New Britain Museum of American Art. In May, the museum’s gaze returns to New Britain’s industrial legacy with “New/Now: Paul Baylock.” His works integrate iconic factory and hardware motifs reflecting his own experiences growing up in the city, where he was part of an Irish-Lithuanian family of 10, and taught art in the public schools for decades. He also witnessed the postindustrial decades of economic challenges, demographic shifts, and the blight that still plagues some sections. Yet in an age when many ethnic neighborhoods that coalesced around that long-ago heyday are gone, Little Poland, designated in 2008, is thriving. And it’s serving as an inspiration elsewhere. The New Britain Latino Coalition is developing the “Barrio Latino” (renamed a few years ago) around Arch Street, which holds a cluster of Latin-American organizations and businesses, including the Criollisimo Restaurant and the Borinquen Bakery. “We’re in the infant stage,” says coalition chairman Carmelo Rodriguez, “working on getting more businesses to the area, and with landlords to fix up their buildings.” The city already hosts annual Latino and Puerto Rican Festivals; this spring, following a six-year effort, the new Borinqueneers Monument (honoring the 65th Infantry Regiment from Puerto Rico, the last U.S. Army unit to be desegregated) will be dedicated in a new city park, Rodriguez says. 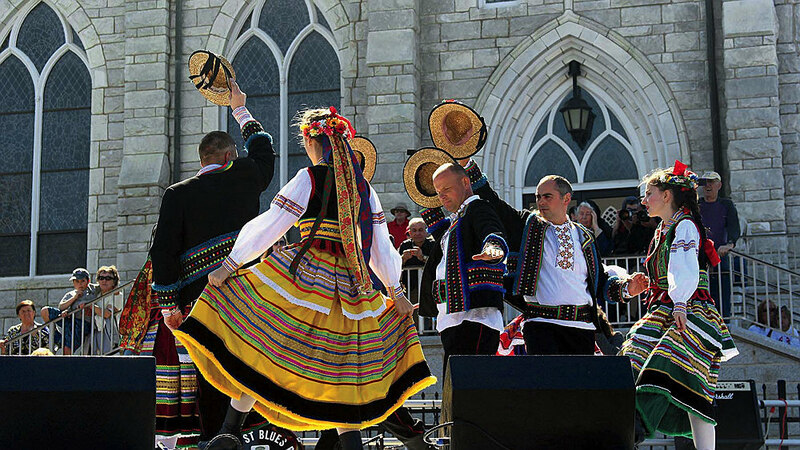 Such active participation has helped bolster the annual Little Poland Festival (on April 29 this year), where performances by Polish polka, rock, and jazz bands, by the Polish Language School, and by traditional Goral singers and dancers from southern Poland, among others, now draw thousands of people. “And there’s great food,” says the organizer, Pawlak. “Everything from pea soup that your spoon stands up in to, obviously, parówki, kapusta, pierogi, and golabki”—hot dogs, sauerkraut with bacon and onions, dumplings, and stuffed cabbage, respectively.